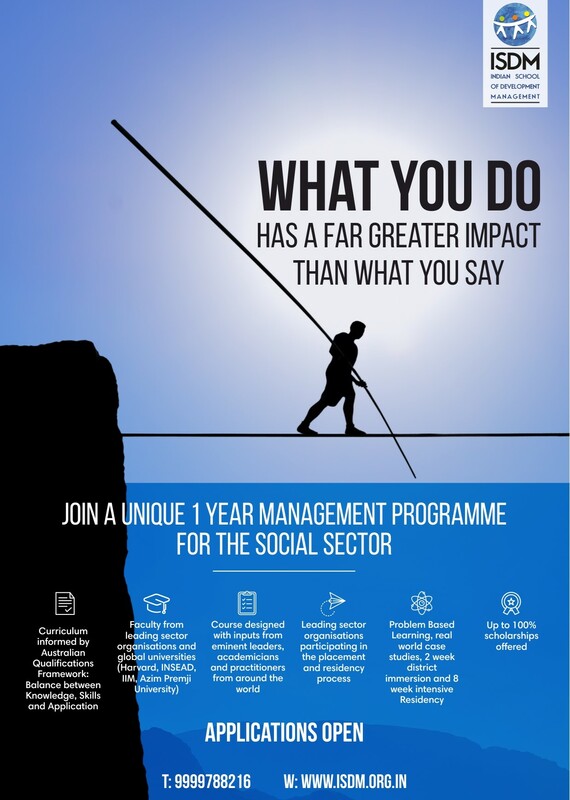 The Post Graduate Programme in Development Leadership (PGP-DL) in Indian School of Development Management is a one of its kind management programme which seeks to develop professional, passionate and committed leaders and entrepreneurs for the development sector. The founding batch is nearing graduation and getting ready to change the world, they are well into the journey of putting in place their second batch of future social leaders and change-makers. If you have a passion for social change, the desire and ability to build world-class social organizations, and an interest in addressing the crucial question of scalable and sustainable social change, apply now. Application deadline for Admissions 2018-19 is 13 April, 2018.